In this chapter we will associate the new footprint with its schematic component. Go back to Eeschema and start Cvpcb. From the Eeschema application, start Cvpcb. From the Cvpbc window, you can see that the straight connector already has a footprint associated with it. The nRF24 component doesn’t have on. The straight connector component has an association, but the nRF24 does not. To make an association for the nRF24 component, scroll down the list in the left pane. At the bottom of the list, you will see the library we created in the previous chapter. The new library is at the bottom of the list in the left pane. Click on it to select it. With the custom component selected in the middle pane, click on the “#” filter. 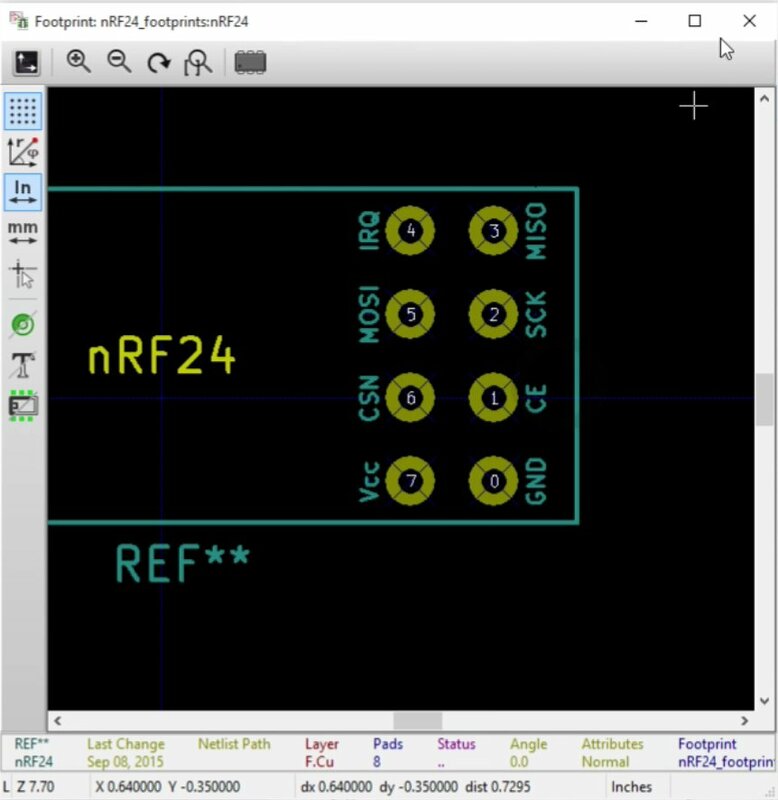 Notice that in the right pane, the custom footprint for the nRF24 component appears. Double click on the footprint to select it. We know of course what the custom nRF24 footprint looks like, but let’s have another look to confirm. Click on the preview button from the top bar. The preview of the nRF24 footprint. 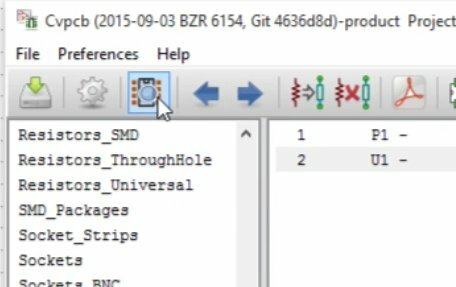 Let’s save the associations and close Cvpcb and again save the schematics file. Before we move on, I would like to show you one more useful feature. 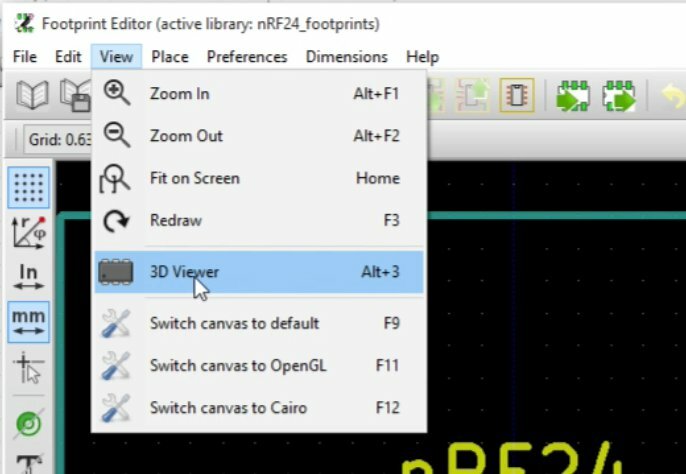 Start the footprint editor, then from the View menu item select the 3D Viewer. Launch the 3D viewer from the View menu. The 3D Viewer will give us a 3D representation of the footprint. 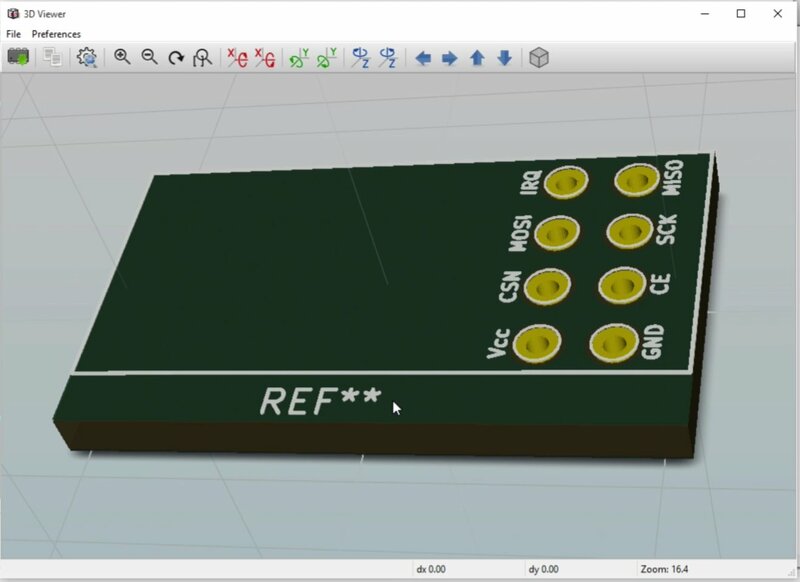 We can see how the component will look like once it goes onto a PCB. The 3D viewer give a “real life” representation of the footprint. You can choose if you’d like to have this identifier inside the white silk screen books or not, it doesn’t really make any difference and you can have a look on the other side, the bottom side as well. Use your mouse buttons and scroll wheel to rotate, zoom and pan the viewer. We are almost finished with Eeschema. In the next chapter, we will create the Netlist file. 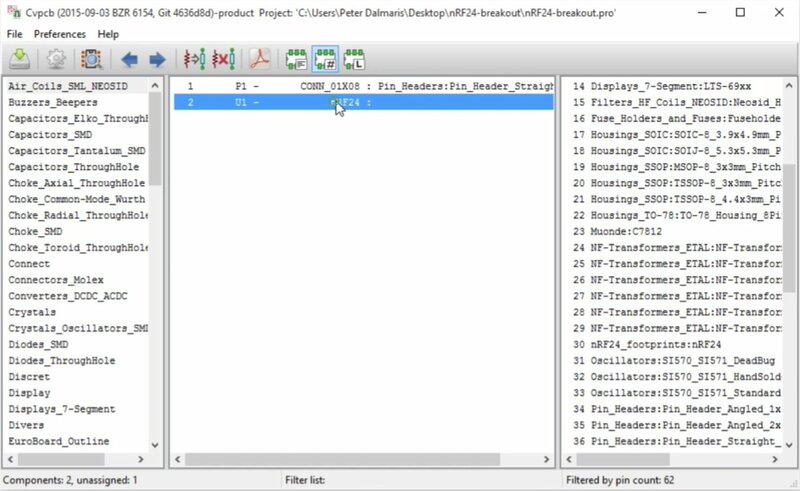 The Netlist file is a file that contains information about the circuit, it’s components, associated footprints, labels and pin numbers and many other things. 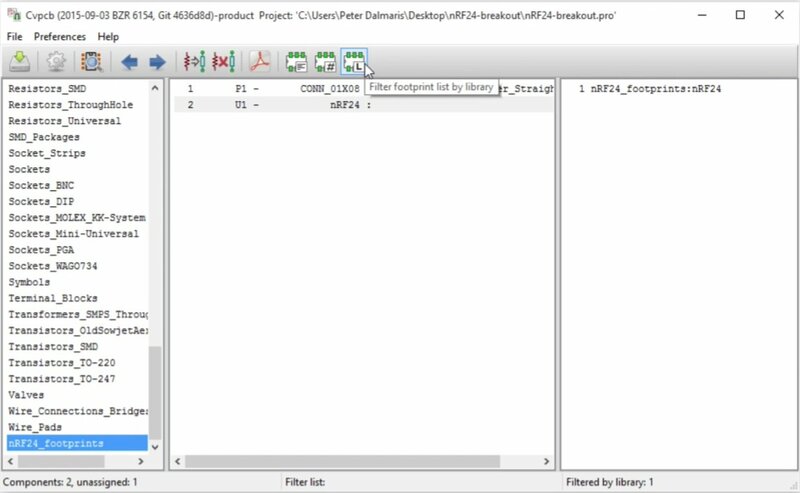 Our PCBnew, which is the PCB editor, would read this file and load the appropriate footprints from the library and that will do the layout and wiring.